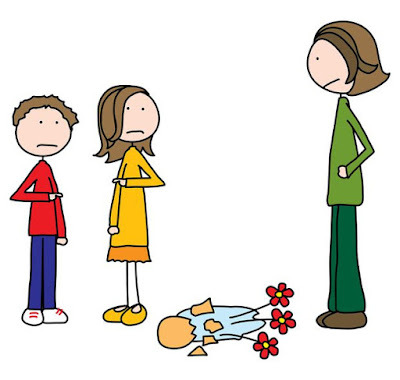 It is not anything glamorous when we realised our kids told us a lie. Big or little lie, it will always be a parent's concern. We never know when lying may become a convenient habit. And perhaps, every child, in a way or another would have told a lie. Like what the world says, lying is normal and is associated to intelligence. Even so, we only want the truth. Though I think they were mostly honest when they say their Mama is beautiful! So this was our story. 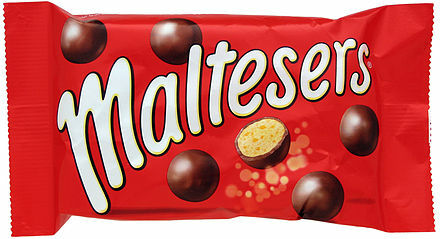 I love Maltesers. The chocolate, you know? I had a pack of it in our snack basket. And one day when I walked past it, I found an empty wrapper! I gathered the kids to ask who sneaked those chocs into their tummy. No one. And I am pretty sure it was no one else, but kids. Who else is capable of leaving empty wrappers which is intended for the bin? My kids do that occasionally. I doubtfully accepted 'Not me' as their reply. And of course, I didn't find it convincing. I told the man, who decided to re-investigate. He told the kids that it must be their littlest brother, Juboy since there was no confession. And since he wasn't present at investigation scene, it was easy to find an accuse. Juboy was under my eye care almost every hour, I can definitely sniff it out if it was him. He is still at the stage of discovering how to open wrappers. Nonetheless, the man told the kids that Juboy will be punished for gobbling chocolates and irresponsibly leaving trash wrapper around. When I heard it, I smiled heart in my heart. I knew it was an inspiration from the Bible. The story in 1 Kings 3: 16 shared about two woman who stood before the king over the ownership of a living child. Both women gave birth 3 days apart in the same house. One woman had her son dead, and the other woman had her son living. The woman whose son was dead claimed that the living son was hers. King Solomon then ordered to divide the living child into two! So each woman gets half. Very naturally, the woman whose son was living pleaded to give her son to the other woman and by no means kill the child. And the other woman said, "Let him neither be mine nor yours, but divide him." The wise King knew who the mother was and gave the living child to her. This is one of my favourite story in the Bible. Similarly, we worked with the element of compassion. I didn't know if that will spur any effect on anyone's guilt or if we will be getting any confession. I only knew, there was a sacrifice, there was a blame and everyone could escape free from this episode knowing their little brother could shoulder the name of chocolate thief. A few hours later, that very night. I spotted a confession note on my desk. We gotten a confession! No frustration and struggles. "Dear Mummy, it was me who ate the maltesers. Please do not cane Jude. You can cane me instead. I am terribly sorry." And there was a sign off. We uncovered truth! Though my heart was a slight troubled with the thought of why this child was too frightened to confess instantly. Not that we do not allow chocolates in the house, but moderately. And I do get a little frenzy when they don't get things to the right place. Empty wrappers, bottles, dishes not at the right place drives my nerves a little. I must have been horrifying during those moments. We were glad that confession came. And nope, there wasn't any scolding or punishment. We applauded courage, we celebrated delayed honesty and we gave Thanks for hope. Hope that compassion moved in our hearts. Parenting is truly God led at times, we don't have to always take the harsh or impatient way out. We will get there! Have patient and give time. And no prize for guessing the real culprit. Either him or her. How do you deal with a lie? Shared this dish I made on Instagram last week and received a few requests on recipe. I thought it would be easier to document and share it on blog. I made this using the slow cooker and stewed about 6 hours to overnight. Till the meat was really soft. Over stove is great too, it takes probably 2 to 3 hour to simmer on stove. Always ensure there is enough water covering everything. When I was in the states years ago, all the home wives would come together to share and exchange recipe. 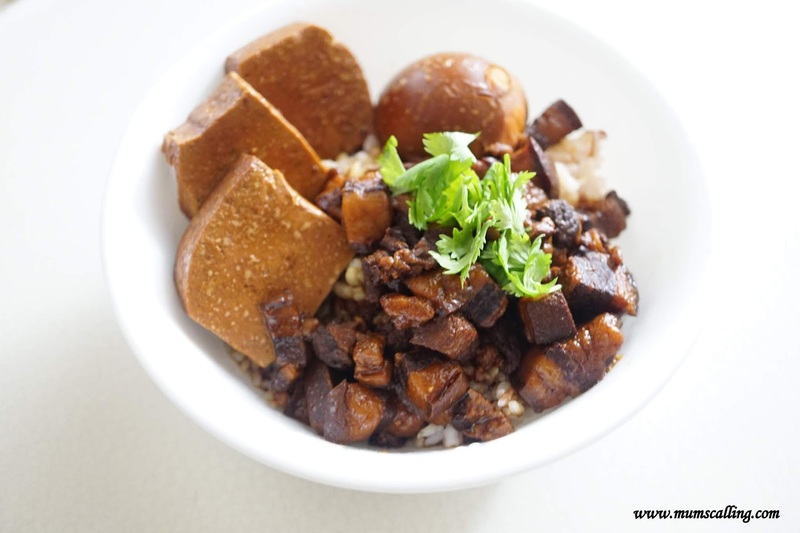 A Taiwanese Mama shared that the special ingredient used in her 卤肉饭 recipe is peanut butter! Without the crunch of course. Which since then I have not missed it out when dishing this up. Soak shitake mushroom in water overnight. Cut them into cubes. Keep stock and set aside. Cut the pork belly into 1 inch cubes and blanch. Drain. Heat oil (from fried shallots) in a large pot over medium heat. Add garlic, ginger, star anise and cinnamon stick. Cook until fragrant. Add pork belly into the pot. 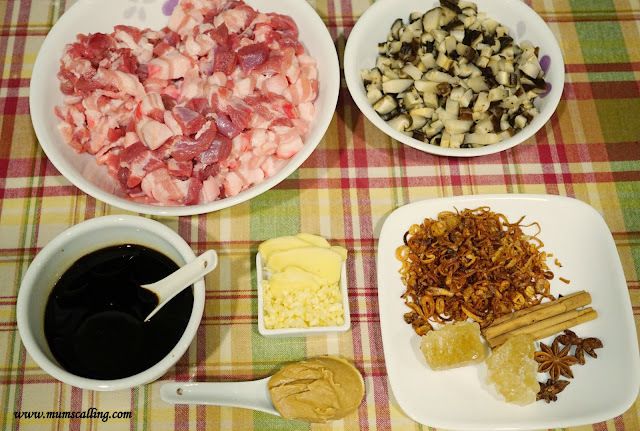 Cook till most of the pork is half done, then add in mushroom cubes, sauce, five spice powder and rock sugar. Everything should be in except eggs and tofu. Cook for 1 - 2 minutes. Add mushroom stock, about 800ml. If not enough mushroom stock, add water. Cover and bring to boil. 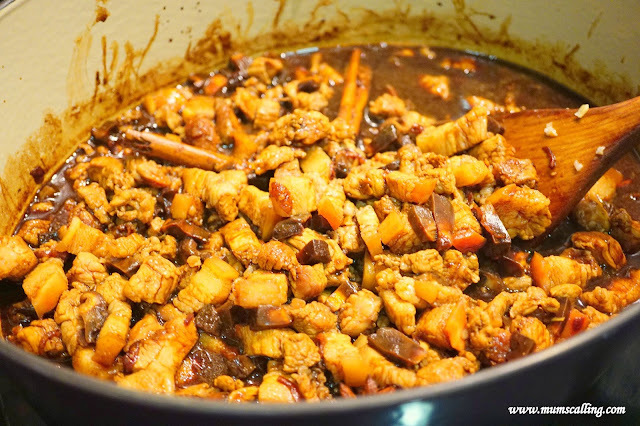 You may simmer over stove till meat is soft, about 2 to 3 hours or transfer to a slow cooker to cook for at least 4 hours. Ensure thar there is always enough water to cover everything. Add the eggs and tofu about 2 hours before serving. Serve ready dish over rice with generous amount of gravy. Have fun filling the tummies of our loved ones! 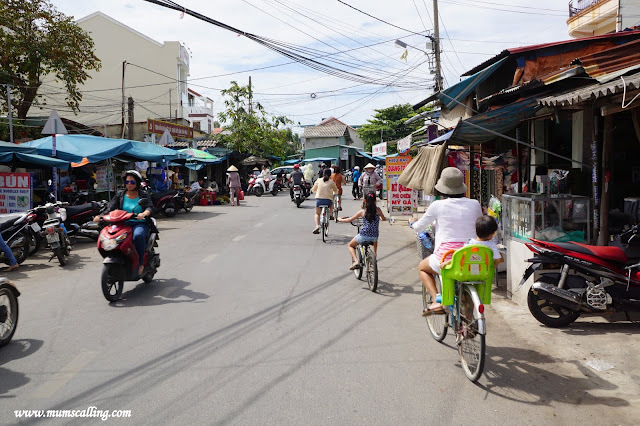 Landing in Hoi An wasn't much of shopping for us, but more of food exploration. There really isn't much to shop especially when you talk about fashion, design or being modern. We got around to eating, trying their local delicacies which were really good! And if you are shopping around, do remember to bargain! We managed to bargain down to more than 70% for some items. It's crazy how prices are marked up high for negotiation. 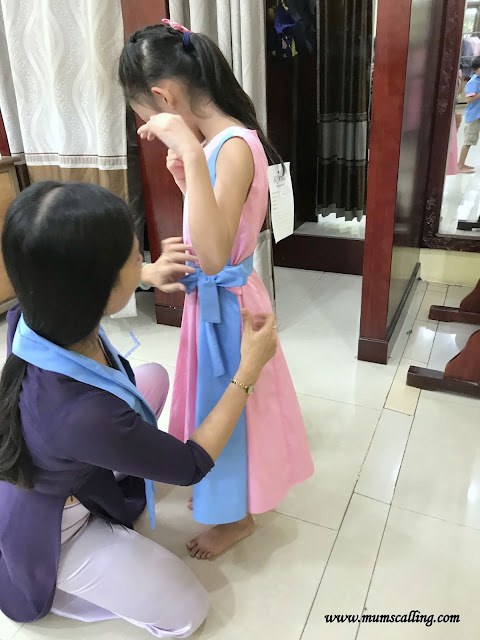 If you had like some tailored wear, then it is also best to visit a tailor shop the first day you are in Hoi An. Give 3 days of buffer to get your clothes complete. You will have to go for fitting in between before collecting your final pieces. 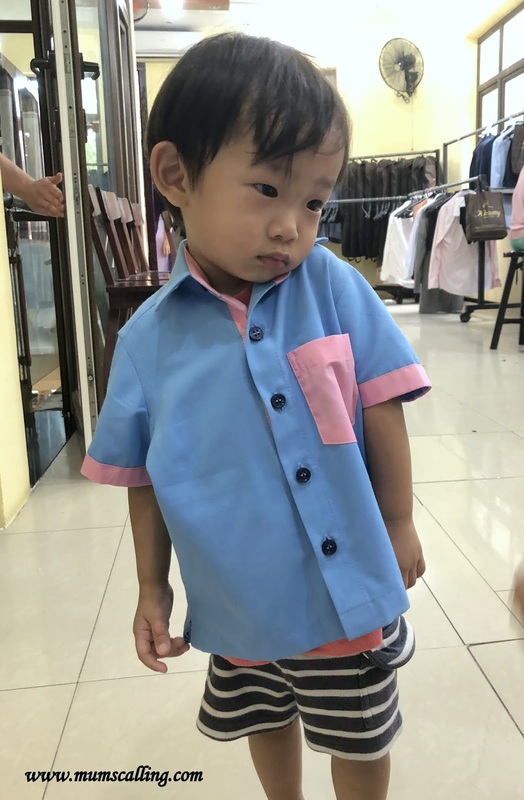 I came with designs, wanting to explore outfits for our family of five, but they didn't turn out well. And I didn't feel it was as cheap as I had thought or read around. We spent USD170 for our set of five pieces. It was probably difficult to visualise something big, base on the fabric samples provided. We had to fit a single fabric type for both man and woman, boys and girl to get a family matchy set. Looks like the pieces will sit in our wardrobe for some time before we look at it differently again. Nonetheless, the daughter loves hers alot! My only comfort. Our friend had a few tops and bottom tailored, and they turned out perfect for her! 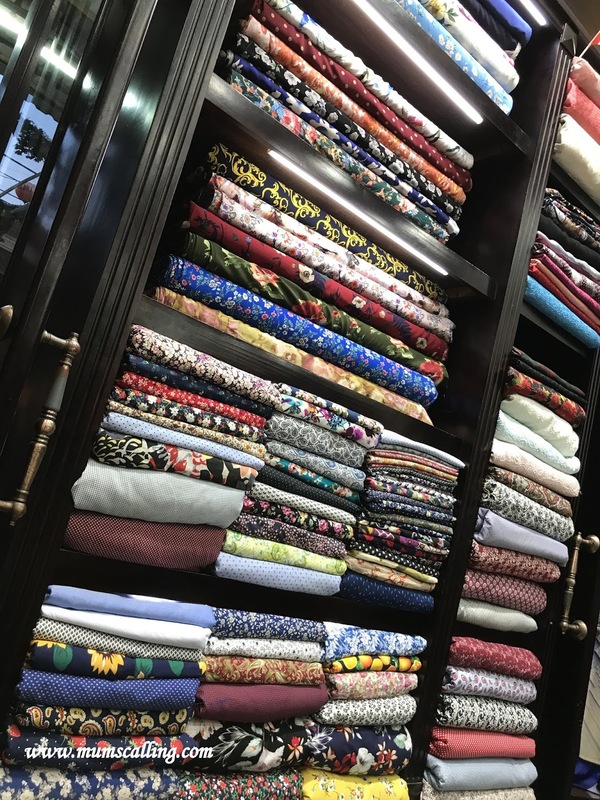 It really is about choosing the right fabric, design and colour. But I feel the pricing can get you some good fit off the stores too. So tailor something you really think is unique, which may come with some risk though. Fabric varies stores to stores. Most prints and patterns are not be fashion looking to me, choosing a single colour will be a safe choice. We tailored our pieces at Kimmy. Probably the only tailor store that is air conditioned! Their pieces are all tailored within store. The good part is that, no middle man is involved. Who you speak to is likely the person who sees through everything. Doing Hoi An is very much equivalent to going back to the primitive ways of living. We did farming on 2 separate days. 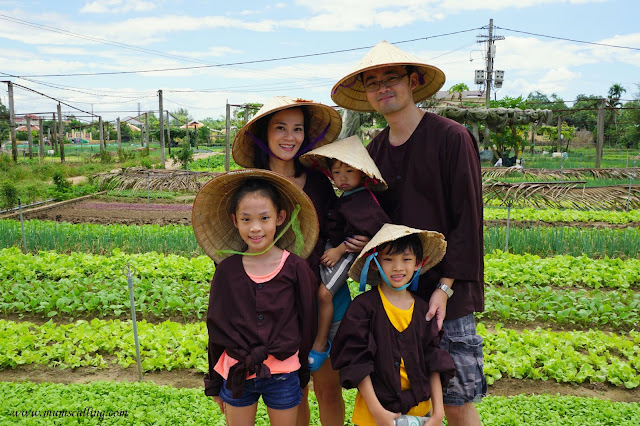 On the first day, we booked a vegetable farming tour with Tra Que Garden. The tour package comes with a tour around their vegetable farm, introducing the types of plants they have, as well as the traditional and modern farming methods. 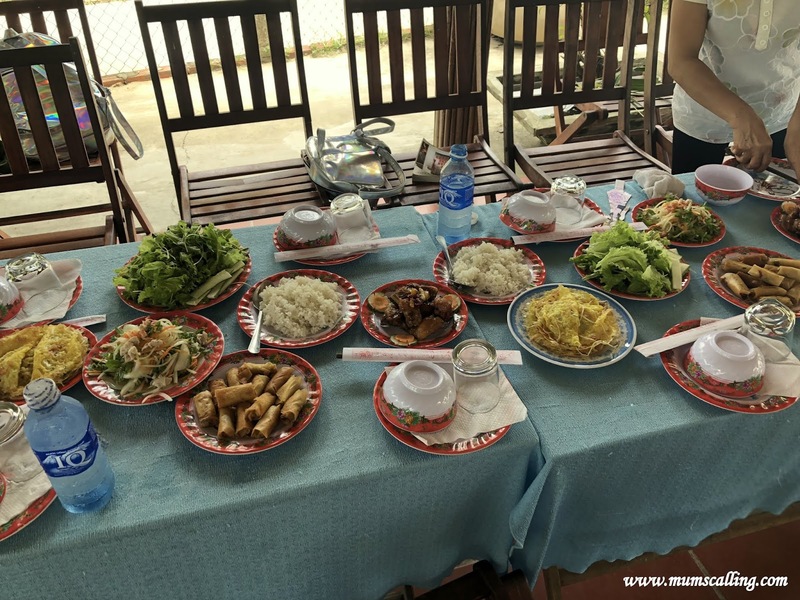 After which, there was buffalo riding, hands on planting, foot and shoulder massage, followed by an awesome lunch spread! Our guide spoke good English and was very engaging. 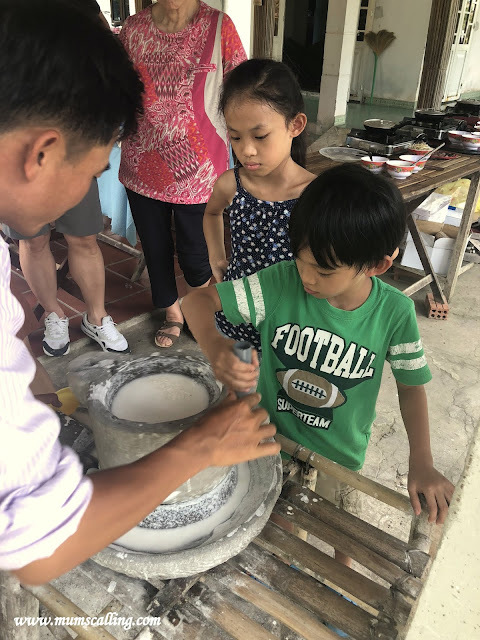 We really loved this tour, and the kids enjoyed it thoroughly! The package includes pick up and return to hotel. Totally worth it! We highly recommend this tour. Lunch provided was really really good! Thôn Trà Quế, Đường Hai Bà Trưng, Xã Cẩm Hà, Hội An, Quảng Nam. 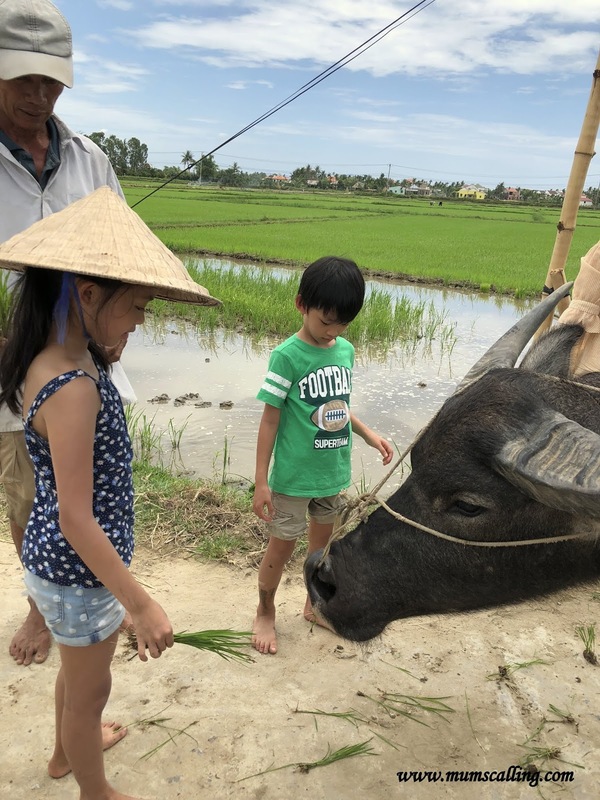 We spent another day with Hoi An Village Experience, where we took on their Farming and Fishing life experience tour. 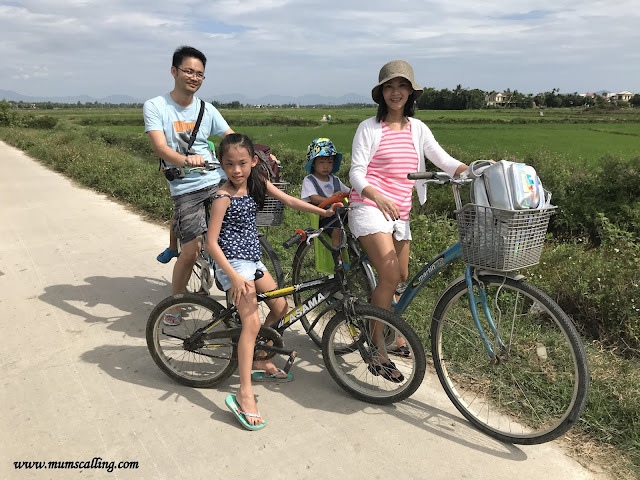 The package tour included, pick up and return at hotel, lunch/dinner (depending on the time tour you booked), buffalo ride, basket boat ride, rice plating and bicycles! Yes, we cycled. It was a decision we pondered for long. Considering a toddler in tow and our inactive nature in sports, I wasn't sure if we can cover a 7km cycle! The kids trained for it though, we did a few cycling weekends to prep for this day. Only thing was, you will be riding alongside a massive traffic of motor vehicles. This did freak Jazz much, and we dismounted after a 3km ride. 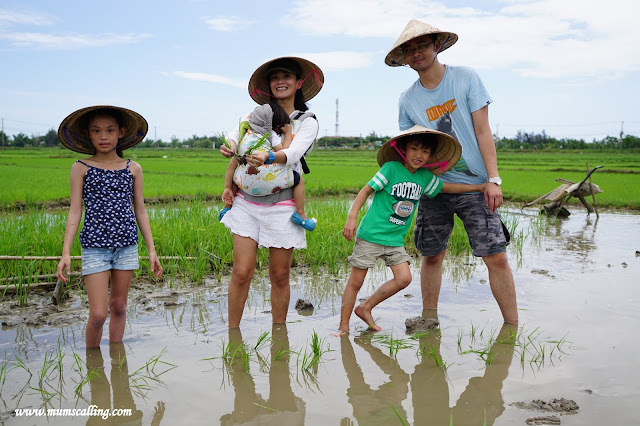 At the paddy field. Not too bad, I thought. There wasn't a small enough bicycle for Jare, so he pillion-ed behind the man. While I took Juboy on a child seat behind my bicycle. Our guide was really nice to have arranged taxi to transport us to our next destination, from where we dismounted. At no additional cost. Our first stop was at the rice paddy to meet the buffalo and do some labour work. 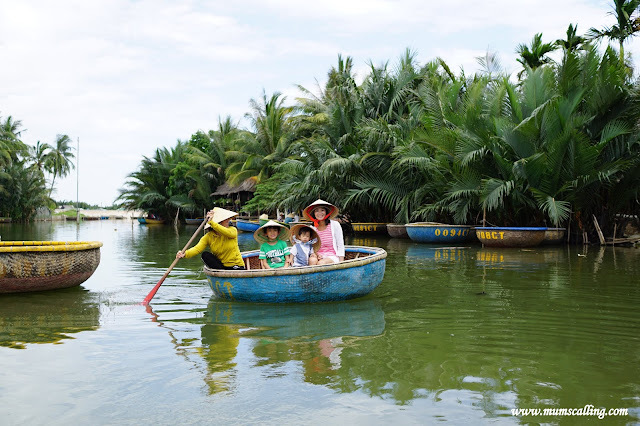 After which we took a taxi to embark on our basket boat ride to 'fish' for crabs. Then we did some walking to our guide's house for lunch. The basket boat ride was a hot and sleepy one. The swaying of it must have stimulated that of rock a bye baby effect. Do not forget those shades and sunscreen! If not, those Vietnamese hats provided are good too. We caught some crabs along our ride, but they are definitely not meant for lunch. After embarking from the basket boat, we took a 5 minutes walk to our guide's house. Where he gave us a go on his antique rice grinder, and thought us how to cook crispy pancake (Ban Xiao). Lunch was at the mean time prepared for us. Lunch was great, but we thought it was not as delicious as the one we had with Tra Que tour. After lunch, we were transported back to our hotel with an arranged taxi. By then, you will definitely appreciate the air con in your room! Most tours comes with drinking water. You may carry light. Street food may not be advisable for consumption, as advised by the hotel. And especially that you are traveling with kids. 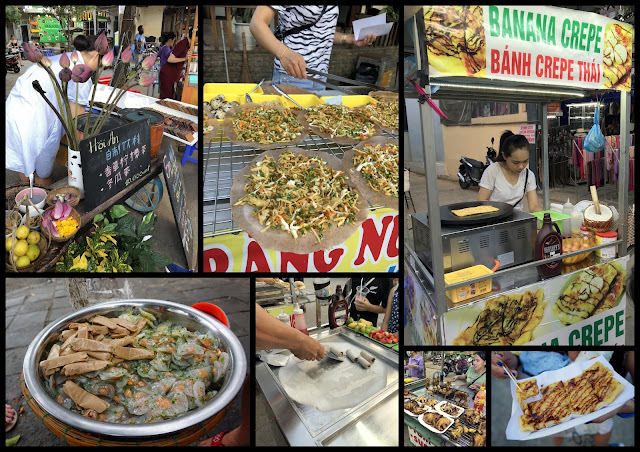 Nonetheless, we did try a few street at the night market. 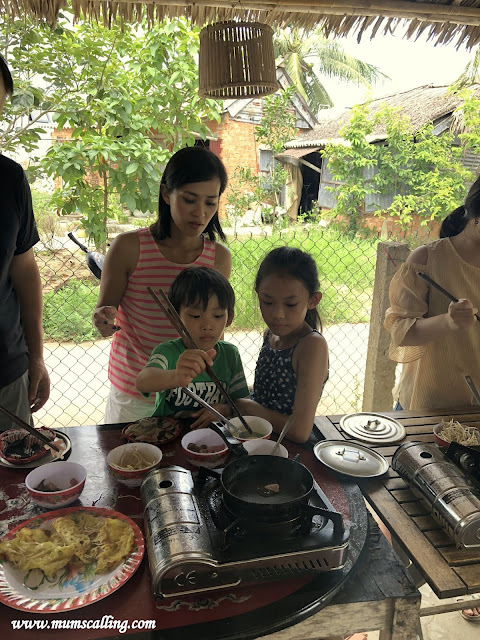 We went for those that needs to be cooked over high heat, but ice cream, the kids needed it! Other than the very satisfying meal at Tra Que, two other restaurants, Morning Glory and Thanh Phuong are much worth the calories too! Vietnamnese coffee we had at Morning Glory was very good. Left us a memorable taste. 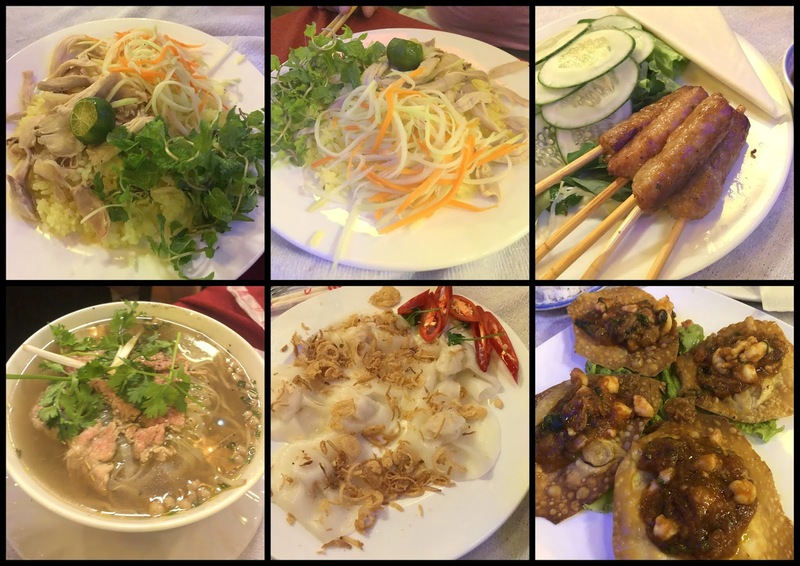 These are the delicacies we ordered at Thanh Phuong. Chicken rice which our friend ordered was amazingly good. Just don't think Hainanese when eating it. It's a total different twist. White rose, crispy pancake and fried wanton were good too. But its pho was not to the kids' liking. A few shops from the right of the restaurant, we had our foot massage. It was so rejuvenating! 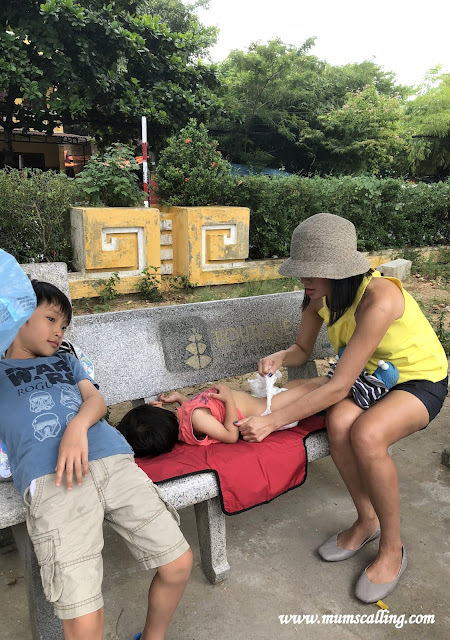 So yeap, this sums up our Vietnam vacation. 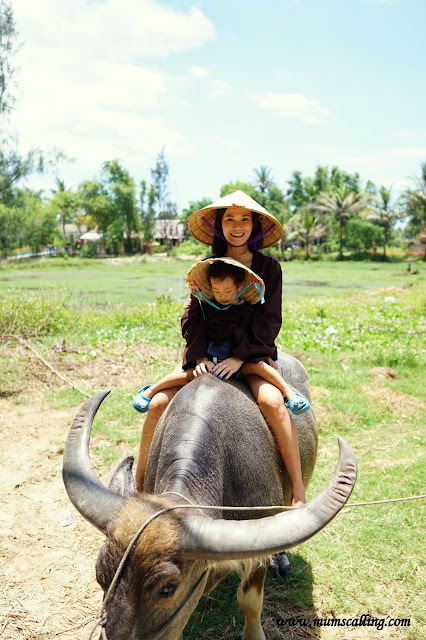 It definitely is not the most conducive travel if you have young children along. It depends much on your level of comfort. The streets are always crowded with humans, having a stroller along is almost impossible. Road crossings are chaotic, with no proper traffic lights. It is always a dare challenge when crossing a massive road! 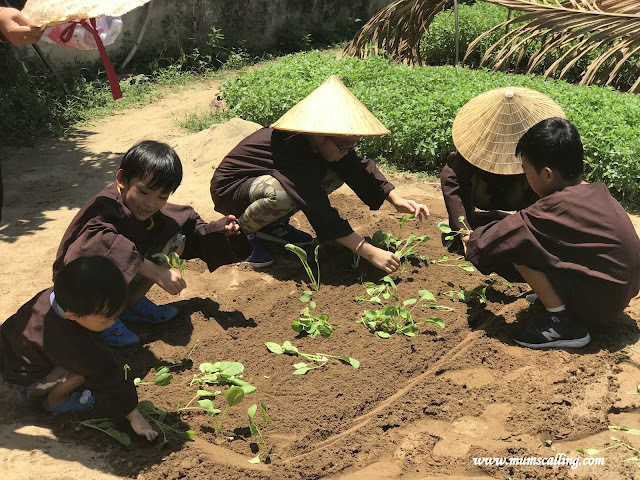 The kids did enjoy themselves thoroughly, especially farming! Travelling with buddies made it even more enjoyable! I realised that we have always been travelling to the developed countries with mega theme parks and malls, but not much to the less developed countries where there is no big shopping malls, no theme parks, not even a supermarket in sight or a baby care room. So if you run out of diapers, I have no idea where to get them. Pack sufficiently! And when changing room is not in sight, you will have to make do with the next ideal place to change diaper. We spotted a bench. It was a good opportunity to experience and discover more during this trip! And with this, we end our three part adventure update to Danang and Hoi An, Vietnam.